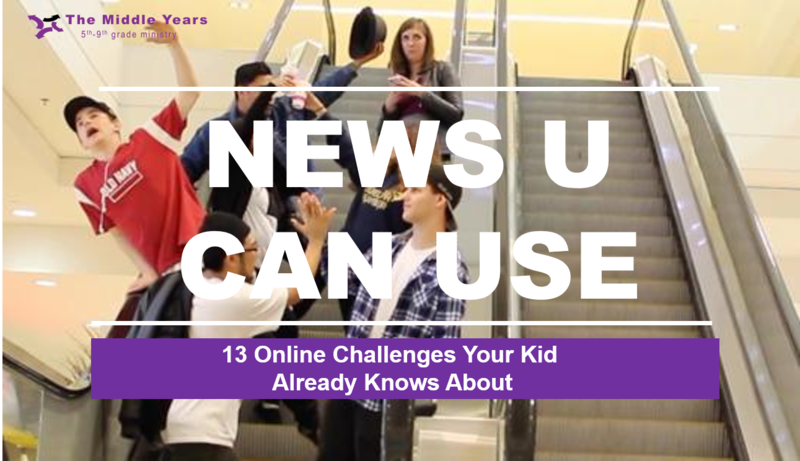 The Middle Years : News U Can Use: "13 Online Challenges Your Kids Already Know About"
News U Can Use: "13 Online Challenges Your Kids Already Know About"
"It's a tale as old as time: We see a lot of people wearing/doing/saying something and we want to try it, too. Back in the day it was saying "Bloody Mary" into a mirror at slumber parties. Today, it means viral social media stunts. Though adults get caught up, too, kids are especially susceptible to peer pressure and FOMO (fear of missing out). To them, what was once a double-dog dare is now a popular YouTuber eating a hot pepper just to see what happens. Called "challenges," these stunts range from harmless to horrifying: There are the silly ones (such as the Mannequin Challenge); the helpful ones (like the ALS Ice Bucket Challenge); the slightly risky ones (such as the Make Your Own Slime Challenge). But sometimes, challenges are downright dangerous, resulting in physical injury -- and possibly even death, like the Momo Challenge is reported to be. So what's a parent to do? Below are some of the hottest challenges that have swept social media; some fade and then make a comeback. In most cases, kids are watching these challenges on YouTube purely for entertainment, but some challenges inspire kids to try them out themselves. (In fact, the safe ones can be fun for families to try.) 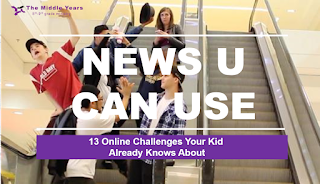 Others -- like the Backpack Challenge -- are often done with the goal of filming other kids and broadcasting the results online. While there could be a new one as soon as tomorrow, they do seem to fall into certain categories, and there's some universal advice that parents can follow, no matter the challenge..." READ MORE AT "COMMON SENSE MEDIA"